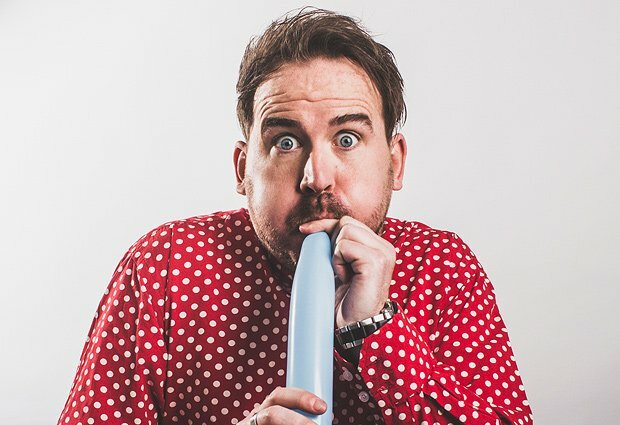 Scottish comedian Chris Henry was inspired to take up balloon modelling by his nephews, who thought it would be a fun thing for their uncle to do. And frankly, they're lucky boys – because Henry is the perfect uncle. A little bit silly, a little bit naughty, says the unsayable (but never crosses the line) and with a seemingly endless supply of energy. One thing he isn't, however, is a master craftsman at balloon modelling. He can certainly make things – his giraffes, parrots, dogs and bunnies are pretty good, his rendition of SpongeBob SquarePants less so. But Henry really isn't in this for the art, his talent is comedy. There's something almost electric about a room of adults, teenagers, children and tots all laughing together (although not always at the same thing). The parts that are scripted work well, but Henry is a fly-by-the-seat-of-his-pants kind of guy, so it's the adlibs with the audience that really hit the spot. Opportunities for children to go onstage and join the Balloonatics Army are well handled, and a good time is had by all. Gilded Balloon Teviot, until 27 Aug (not 17 & 18, 21–25), 10.30am, £9 (£8). High energy chaos with balloons and lots of laughs for the whole family.